I finally had time to add a new painting to my Etsy Store. Dusted with confectioner's sugar, this two layer chocolate cake is sandwiched between sweet buttercream frosting. Dainty pink and aqua roses grace the top of this treat to the eye and is proudly displayed atop a yellow pedestal cake plate. A pink and white checked bow is wrapped around the edges of the canvas and tied in a bow at the top. 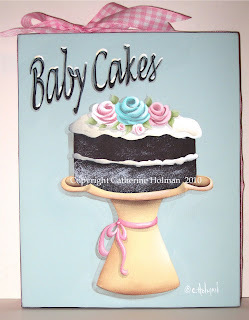 I'm planning to work on a 4th of July cupcake this week and then will probably take a little break from painting. My niece is coming this weekend to spend a couple of weeks with us. Yeah!! It´s great to have the family around. 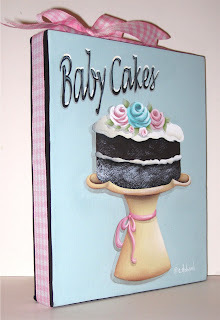 I am sure you will bake some cupcakes then, instead of painting them. Your niece is one of those gals who keeps you busy, I see. 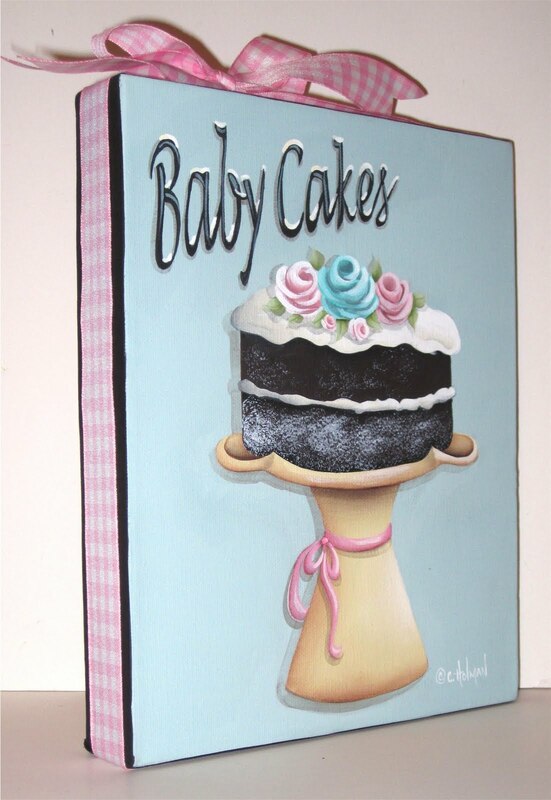 Baby Cakes Chocolate Cake is terrific. 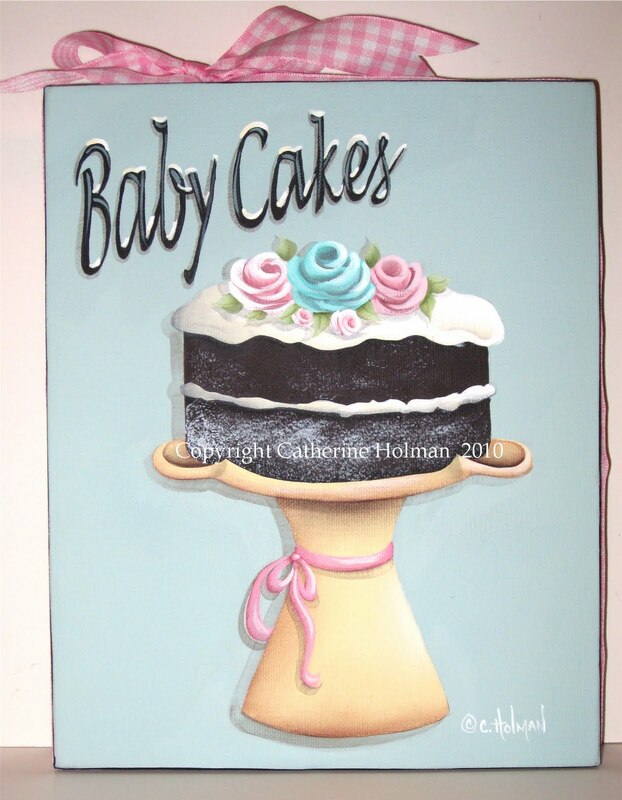 Love the painting, Catherine! I always like how you wrap them in bows. I think you will also enjoy her art. I hope you have a fun visit with your niece. How cute! Enjoy your visit with family! Make cupcakes!